On the 24th of October 1890, a double murder took place in Hampstead, in the north of London, that truly shocked Victorian society, not least because the victims were a mother and her 18 month old baby daughter. The attack on the mother, 31-year-old Mrs Phoebe Hogg, had been a brutal and a savage one; and, for a time, it led to press speculation that it might spell the return of the Whitechapel Murderer, albeit this theory was soon discounted when it was learnt that the circumstances behind the Hampstead atrocity, were totally different to the Ripper crimes in style, albeit they were equally as alarming in their implication. “A brutal murder was committed on Friday evening at Hampstead, the body of the victim being found in the Crossfield-road, near the Swiss Cottage. From Lloyd’s Weekly Newspaper, Sunday 26th October 1890. Copyright, The British Library Board. It appears certain the woman was not killed upon the spot where her body was discovered. Crossfield-road, Hampstead, is a quiet road in a rather aristocratic part of the suburb. Just beside where the body was found some new houses are in course of erection. Here the pathway is not well defined, and in some places it is covered with rubbish. On the opposite side of the road are two gardens. The spot is midway between two lamps, which are about 200 yards apart, and therefore it is very dark. On Friday night, a young gentleman, Mr. S. McDonald, residing at 5 Belsize-park, in the immediate neighbourhood, was passing through Crossfield-road when he saw the figure of a woman lying on the ground. At first he thought that she was drunk, and he passed on. Then it struck him that she might be ill, and he returned. The night was dull and dark, and he could just distinguish the outline of the woman’s figure. Her head was enveloped in some garment. Mr. McDonald went immediately to Swiss-Cottage station and brought back with him Constable Gardiner of the S division. The officer felt the Woman’s pulse, and finding it motionless he blew his whistle, bringing Constable Stalker to his assistance. In the meantime Mr. McDonald, at the officer’s suggestion, went in pursuit of the nearest medical man, Dr. Poulett Wells, of Belsize-park. About the same time, Mr. A. C. Fox, a medical student, came upon the scene. That the police at first believed that this murder might be the work of Jack the Ripper is evidenced by the fact that several of the detectives from Scotland Yard, who had worked on the ripper crimes, were soon on the scene. “Information of the murder was promptly sent to Scotland-yard. Inspector Swanson and several detectives who had been engaged from time to time in the Whitechapel inquiries started for Hampstead and took charge of the case. All the ground in the vicinity has been thoroughly searched, but no weapon nor anything else likely to serve as a clue has been found. The first doctor who saw the body noticed blood flowing from the side, which fact led at first to the belief that the woman had been stabbed and perhaps mutilated, but a cursory examination did not result in anything to support this theory. People who have seen the body and the scene of the murder are strongly of the opinion that the unfortunate victim was seized from behind and was at once rendered speechless by one large, clean cut of a knife, as in the case of the women murdered in Whitechapel”. “A hasty examination by Dr. Wells showed that the woman was quite dead and had, indeed, been dead for some time, probably an hour. The body was that of a young woman about 30. The head was almost severed from the body, and the face was smeared with blood. The head was loosely covered by a man’s brown cardigan jacket, the buttons gone, and the sleeves cut away. The head was not, as has been erroneously stated, lying in a pool of blood. From Reynold’s Newspaper. Sunday 2nd November 1890. Copyright, The British Library Board. Dr. Wells would later make a statement giving the full details of the horrific injuries sustained by the victim. “I was called on Friday night, and arrived at the scene of the murder, I should think, shortly before eight o’clock. I should imagine, from the condition of the body, that death had taken place about an hour before. There was a deep gash in the throat; it had gone right through the neck, dividing the spinal column, and the head merely hung by the soft tissues at the back. The wound must have been inflicted with a sharp knife, and with extreme force. The injury at the back of the head must also have been inflicted with immense force, for it penetrated the skull to a considerable area at the back, and comminuted the bone completely. There was also a scalp wound, but not very extensive, on the front of the head. There was a bruise on the right side of the lower jaw, and one on the knuckle of the right hand. Whether the blow on the head or the wound in the neck was given first, I cannot tell. Either of them was quite sufficient to cause death, and that is the strange thing about it. If the injury in the throat was first inflicted it was quite necessary – for the purpose of causing death, I mean – to have given the extensive wound in the head. The cleanness of the cut in the neck gave one the idea that it was done – if I may use the term – in a “very leisurely way.” that it was a secondary act. Of course, I cannot form any definite conclusion yet – I have not made the post-mortem examination – but it is probable that the blow on the head was given first, and then the throat cut with a strong knife with a short blade. The murderer was “very fortunate to have got through the vertebrae as he did,” for the ligaments are very difficult to separate. The blow on the head might have been inflicted with a hammer, but I should hardly think so; it was done, I should say, by an instrument more pointed – the point of a pick-axe, for instance. “With great care the body was carried to the Hampstead hill police-station, and here Dr. Herbert Cooper, the police divisional surgeon, joined Dr. Wells and Mr. Fox, and a more careful examination of the remains was made. As soon as possible Inspector Collis, with a large staff of police, proceeded to the spot. Detective-inspector Thomas Banister soon joined them in a careful search of the unoccupied houses, and of the ground in the vicinity. Nothing was then discovered save a blood-stained brick, but later on a small screw nut was picked up, which proved to be an important find. Inspector Banister. From Lloyd’s Weekly Newspaper, 16th November 1890. Copyright, The British Library Board. “It was found that the victim, of what beyond all doubt is one of the most dreadful murders of recent years, is a young woman of thirty two at the most. Her dress pretty accurately indicated her position in life. While not having the appearance of a member of the upper class, she was well and carefully dressed, and looked like a superior domestic servant. When found, the head of the unhappy woman was enveloped in a man’s sleeveless cardigan jacket. Her description, as noted by the police, is briefly as follows – she was not more than 32 years old; height 5 feet 5 inches; dark complexion, with black hair and blue eyes. Her jacket was of imitation Astrachan, and her dress of black cashmere. She wore two petticoats, one with red and yellow stripes, the other of white flannel. Her white cotton chemise bore the letters “P. H.” neatly embroidered in red. During the night a message was received from St. John’s Wood police-station, stating that a baby’s perambulator, that was bloodstained and which had a broken handle, had been found in Hamilton-terrace, about a mile away from the spot where the body of the woman had been found. In it lay a brown goatskin rug, lined with scarlet cloth. This was also stained with blood. A small quantity of woman’s hair, like that of the deceased, was in the perambulator, and there was also a piece of butterscotch in it too. It was also found that the screw nut, which was picked up near the dead body, belonged to the perambulator. Lloyd’s Weekly Newspaper provided a sketch of the perambulator. Copyright, The British Library Board. Almost immediately rumours begin to circulate that the murder had been carried out by the same perpetrator of the Whitchapel crimes; and several newspapers did, indeed, consider this possibility before dismissing it. “Our Hampstead correspondent says: When the murder at first was bruited abroad the alarming rumour spread that Jack the Ripper had been at work in the locality, and had out off a woman’s head. At 141, Prince of Wales Road, Kentish Town, the Hogg family were beginning to get worried about Phoebe Hogg, the wife of furniture porter Frank Hogg, and her 18 month old daughter Phoebe Hanslope Hogg – neither of whom had been seen since leaving home at around 3pm on the afternoon of Friday 24th of October. Her husband, Frank, who was employed by his brother in his business of furniture moving, had left home as usual early on the Friday morning and had returned in the evening. His mother and sister, who resided in the same house, but on an upper floor, then informed him that his wife had gone out. Since her father, who lived at Rickmansworth, had been unwell, he presumed that she had received word that his condition had worsened and she had gone to visit him, and had opted to spend the night at his house. Mrs Phoebe Hogg. Copyright, The British Library Board. On the Saturday morning, Frank Hogg, who, so newspapers reported, had sat up till two in the morning, went to his work at six, and returned for breakfast at about eight o’clock, expecting to find a letter from his wife informing him of her father’s condition. However, on arriving home, there was still no sign of his wife and baby. Having done this, he decided to go to Rickmansworth to see if his wife had, as the family believed, spent the night at her sick father’s house. Frank Hogg. From Reynold’s Newspaper. Sunday 2nd November 1890. Copyright, The British Library Board. Frank Hogg’s sister, Clara, was also growing increasingly concerned about the whereabouts of her missing sister-in-law and niece. She had, in fact, seen Phoebe leave home the previous afternoon, pushing the baby in a perambulator, and had watched her turn right and head off in the direction of Priory Street. Therefore, when her brother asked her to pay a visit to Mrs Pearcey, who lived at 2 Priory Street, she readily agreed to do so. Mary Pearcey, was a close friend of the Hogg family and she had, in fact, nursed Phoebe through a bout of illness in the the February of that year. Clara, agreed with her brother that Phoebe might have gone to visit her, and so she went round to ask “Mrs. Pearcey” if she had seen anything of her sister-in-law and niece. Miss Clara Hogg. From The Illustrated Police News. Copyright, The British Library Board. Arriving at 2 Priory Street at around 9am, Clara Hogg knocked on the door and was answered by Mary, who had just, she said, woken up. Mary then led Clara into the passage and into the bedroom, where the latter asked her again if she had seen her sister-in-law the previous day. Clara then asked Mary if she would go with her to Kentish Town Railway Station to see if there had been any sighting of Phoebe there. “Wait a minute, I will put on my hat and jacket and come with you,” was the reply, and the two women set out in search of Phoebe. They had then separated for a time, but they met up about an hour and a half later at 141, Prince of Wales Road. Here Clara noticed that there were bruises, cuts and scratches on Mrs Pearcey’s hands. From Lloyd’s Weekly News, 2nd November 1890. Copyright, The British Library Board, All Rights Reserved. At this point the landlady of the house, Mrs Barraud, came in and drew Clara’s attention to a newspaper article concerning a mysterious murder that had taken place nearby overnight. They then went out to buy several newspapers and proceeded to read the accounts of the murder – and the descriptions of the victim – that were, by that time, starting to appear in the press. Convinced that the victim may well be Phoebe Hogg, Clara insisted that they must go to the police station; and Mary, somewhat reluctantly, agreed to accompany her. From Lloyd’s Weekly Newspaper. 2nd November, 1890. Copyright, The British Library Board, All Rights Reserved. Inspector Thomas Banister, of the Metropolitan Police’s S-Division, had taken charge of the investigation into the murder of the unknown woman on the Friday night; and, on their arrival at the police station, he escorted them to the mortuary in the hope that they might be able to identify the body of the murdered woman. Clara Hogg, however, was not so sure and, having examined the deceased’s clothing, she told the detective that it was her sister-in-law’s clothing, but said that she could not “identify the features” of the cadaver. He then took them back inside to the view the body. At this point Mary Pearcey’s behaviour began to arouse his suspicions. At this point Inspector Banister suggested that Dr. Thomas Bond, who had arrived in order to examine the body, should wipe the blood off the victim’s face. Mary Pearcey and Miss Hogg View The Body. From The Illustrated Police News. Copyright, The British Library Board. It next became necessary to see the bassinette found in Hamilton-terrace, and this was at once recognised by Miss Hogg as the one her sister-in-law had taken out with the child. It had apparently experienced very rough usage. The porcelain handle was broken, and the springs seemed to have had to bear a heavy load. There were marks on one side as if it had been tilted over on the ground, and a nut was missing. Returning home accompanied by several detectives, the two women saw Mr Hogg, who had returned from Rickmansworth having found that his wife wasn’t at her father’s house, and told him what they had seen. He appeared terrified at what they told him. The party then accompanied the detectives back to the police station. By this time Inspector Banister was beginning to entertain grave suspicions about Mary Pearcey; and he decided that a search of her lodgings should be undertaken. He spoke to her about doing so, and she said that she had no objection, and she even gave him the keys of her rooms. Banister gave his consent, and the trio duly set of for 2 Priory Street to carry out the search, arriving at 3.30pm. According to Nursey, Mary Pearcey was emphatic throughout the journey that she had not seen Phoebe Hogg the previous day. “The door of the kitchen was locked, and the prisoner opened it. On going into the kitchen the room was dark, as the dark green blind was pulled down. I noticed that the hearthrug was saturated with paraffin. I saw also some small splashes of blood upon the wall. The prisoner appeared agitated, and did not speak so plainly as before. Mary Pearcey’s Kitchen. From Lloyd’s Weekly Newspaper 2nd November 1890. Copyright, The British Library Board. In view of what they had found – and the fact that Mary Pearcey now admitted having seen Phoebe Hogg the previous evening – Nursey telegraphed Inspector Banister, and soon he too was crossing the threshold of 2 Priory Street, accompanied by Superintendent Beard. “A search was made, and in a table drawer he found a carving knife with blood on the handle. There was a second carving knife with blood on the handle. In the fender was a long heavy poker with a ring handle. Two panes of glass in the window had been smashed, and all the walls and the ceiling were bespattered with blood. A black skirt, with apparently blood stains on it, was in the kitchen, also an apron which appeared to have recently been washed, had blood stains on it. There was a rough box and bundle of wood beside it which had blood marks, as had also both the doors in the same compartment. Blood was also on the floor and window sash, and a rug was very much stained with blood. Their search also yielded up a card case on which was the name Frank Samuel H. Hogg, the name of the murdered woman’s husband. The Police Search Mary Pearcey’s Rooms. From The Illustrated Police News. Copyright, The British Library Board. One of he more bizarre aspects of the case was the behaviour of Mary Pearcey whilst the police were searching her rooms. He next took the statements of several people in the house, and on returning to the parlour, he found the Prisoner still whistling. Banister and Superintendent Beard then took her to the Kentish Town Police-station. “On account of the evidence,” was Banister’s reply. He later took the gold one to the mortuary and fitted it to the deceased woman’s finger. It fitted the finger exactly, and it also fitted the impressions in the flesh. He also noticed a lot of cuts and scratches on her hands. Both Frank Hogg and the jeweller who had provided him with the wedding ring that he had given to his wife, Phoebe, were emphatic that the gold wedding ring found on Mary Pearcey’s finger was not the same one. Mary Pearcey. From Reynold’s Newspaper, 2nd November 1890. Copyright, The British Library Board. All Rights Reserved. At the Divisional Station, Kentish Town-road, Mary Pearcey was taken to a cell and was searched. The undergarments showed no indication of anything unusual, but the skirt that she was wearing was saturated with what appeared to be fresh blood, which it had been attempted to remove by washing, but ineffectually. In consequence of this development, fresh clothing was brought from the local workhouse, and this was exchanged for the clothing the accused had been wearing when she had been brought in, which was sent to doctors for further examination. Throughout the whole of Saturday the 25th of October 1890, the mystery of the whereabouts of Phoebe Hanslope Hogg, the 18 month old daughter of the murdered woman, was being pondered by the newspapers. The mystery was solved when, at 6.30am on the Sunday morning a hawker by the name of Oliver Smith was passing some wasteland on the Finchley Road, whn he noticed something lying in some nettles. How The Illustrated Police News Reported The Murder On 1st November 1890. Copyright, The British Library Board. There were no signs of violence on the child’s body, and it appeared that she had died either from exposure or suffocation. Poignantly, the newspapers reported that the little girl’s body was taken to the mortuary and laid alongside the body of her mother. 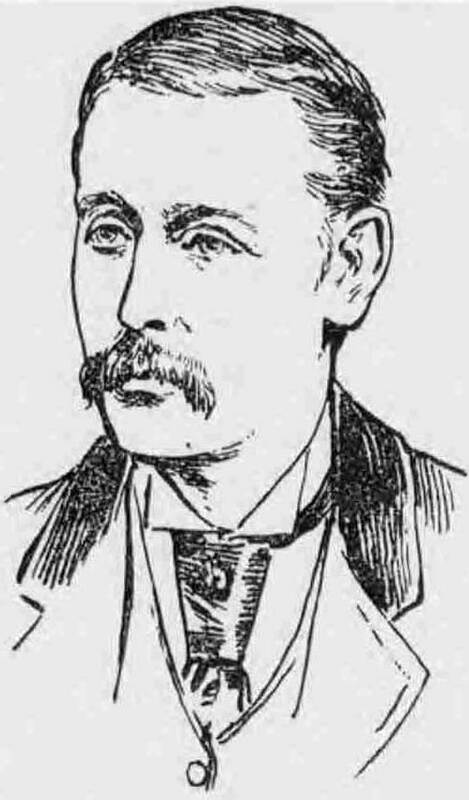 From The Illustrated Police News, 11th November 1890. Copyright, The British Library Board. On Monday 27th October 1890 Mary Pearcey, aged 24, appeared at Marylebone Police Court charged with wilfully and feloniously killing and slaying Phoebe Hogg on the 24th Octobr 1890 and was further charged on suspicion of killing and slaying Phoebe Hanslope Hogg, aged 18 months. The first witness called was Frank Hogg who, so newspapers reported, wept bitterly. Having stated that the victims were his wife and daughter, and having run through the events of the day on which they went missing, proceedings were interrupted by Inspector Banister who suggested to the presiding magistrate, Mr Cooke, that he be asked if he had called at the prisoner’s house on the night of the murder. “Did you find the prisoner at home?” The magistrate pressed further. “No sir,” was Hogg’s reply. “You did not see her?” Asked Mr. Cooke. “No sir.” Hogg replied again. “When did you see the prisoner last?” The magistrate asked. “On the previous Wednesday,” was Hogg’s reply. Again Inspector Banister interjected and asked that the witness be asked if he had a latch key to the prisoner’s house. Thus questioned Frank Hogg admitted that he did indeed have a latch key to Mary Pearcey’s house and that, unbeknown to his wife, he had been in the habit of visiting her. Evidently the police had discovered that the relationship between Frank Hogg and Mary Pearcey was anything but platonic and a possible motive was beginning to dawn on them. Indeed, at first they even suspected that Frank Hogg may have, in some way, been involved in the murder of his wife, albeit this line of enquiry was dropped early on in the investigation. Frank Hogg’s testimonies concerning his infidelity at Mary Pearcey’s initial court appearance and at the inquest into the deaths of his wife and child, were reported extensively in the press with the result that public opinion quickly turned against him and he began to face open hostility from men and women alike. The cardigan, which had been found wrapped around Phoebe Hogg’s head, it transpired belonged to John Charles Pearcey who told the inquest that he was a carpenter and joiner; and that he was a single man living in High-street Camden Town. He said that he had “known the person called Mrs Pearcey since 1885” when she was about eighteen or nineteen years of age. He testified that, although they had in the past cohabited, they had never actually married, and so her real name was, in fact, Mary Eleanor Wheeler. They had, he said, been separated for two years, although he had frequently seen her standing at her gate. He identified the cardigan that had been wrapped around the victim’s head as having belonged to him, albeit it was too shabby to wear and, as a result, he had never had it repaired and had left it with his lover when they separated. John Charles Pearcey. From The Illustrated Police News. Copyright, The British Library Board. Summing up at the inquest, the Coroner informed the jury that reviewing the relations between Mr. Hogg and Mary Pearcey, it was for them [the jurors] to decide whether or not the evidence, taken as a whole, pointed to Mrs. Pearcey as the person by whom the injuries were inflicted. If they thought so, it was for them to consider what was likely to have been her motive in getting rid of Mrs Hogg and the child, and whether she might have regarded them as obstacles in her way to a union with Mr. Hogg. They should, he counselled, recollect that jealousy sometimes led people to commit the gravest and most fearful crimes, and, with regard to the violence that had evidently been used, they should bear in mind what added strength was given when the passions and the determination were thoroughly aroused. Mrs Pearcey and Mrs Hogg, he reminded them, were not on friendly terms, and it might seem strange that the latter should have paid a visit to 2 Priory Street. At the same time, he observed, it was quite possible that Phoebe Hogg accepted an invitation to visit Mary Pearcey in the hope of eliciting something fresh concerning the intimacy which she suspected to exist between Mrs Pearcey and her husband, and that then a quarrel arose between the two women. On the other hand, there was the more horrible theory that Mrs Pearcey enticed the deceased into her house in order to execute a malicious design. “There is, at any rate, one lesson to be learnt from the Hampstead murder, or it is the old lesson of the Whitechapel horrors reinforced – namely, that the best way to make London safe at night is to light the streets efficiently. Moreover, without these hideous proofs of the dangers of dark spots, it is sufficiently obvious that the facilities for committing or concealing crime are enormously increased by darkness. But yet we go on contentedly submitting to the half-lit streets and totally unlit alleys that constitute ninety per cent of the roadways of London. The local authorities when appealed to for better lights plead that gas lamps cost money. But so do policemen, and judges, and sheriffs, and hangmen.